Yokohama, JapanWhile newly crowned World Champions Justin Gatlin, Bershawn Jackson, Dwight Phillips, Ivan Tikhon, Allyson Felix, Olga Kuzenkova and Nadezhda Ostapchuk all won their events, Yelena Isinbayeva failed to clear her opening height at the Seiko Super Track & Field Meet - in Japanese ‘Super Rikujyo’- today. Isinbayeva opened the competition at relatively low height (for her) of 4.50m, but failed to clear the opening height. On her third attempt, she did have a required height, but it was at the front of the bar bringing it down as she fell. In her 'absence', Australia’s former Olympic and World medallist Tatyana Grigoryeva won with 4.10m. Several all-comers records, especially the women’s Pole Vault was expected to be improved, but perhaps because it is a late season meet, none of these materialized. However, Japanese rising stars – Yuzo Kanemaru, Asami Tanno and Yuriko Kobayashi, all broke records. 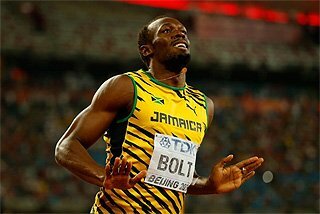 Justin Gatlin who took over the lead half-way into the race won the 100m as expected, however, he was unable to crack the 10 seconds barrier, which he said was his goal in the pre-race press conference on Sunday (18). Gatlin won in 10.04, while the top Japanese Shingo Suetsugu was fourth in 10.17. The reigning Olympic champion, Liu Xiang won the 110m Hurdles. Despite easing up in the last several metres, Liu won in an impressive time of 13.08. “I just ran in the Shanghai GP meet. All I was thinking of today was to run relaxed. I will try to win the Asian Games next season.” He is the defending champion. 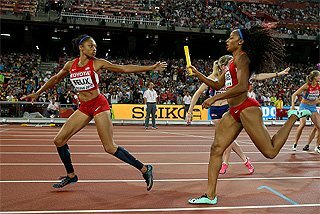 In the women’s 100m, the US champion Melisa Barber led until the middle of the race, but then, as expected the World 200m champion, Allyson Felix started to work her way back. Felix nipped Barber at the end of the race to win in 11.05. 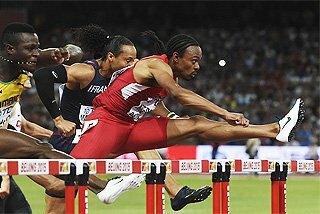 In the men’s 400m Hurdles, Masahira Yoshikata and the World University Games champion Kenji Narisako led at the eighth hurdle but nothing was going to stop the World champion Bershawn Jackson (USA) who came back strongly and took over the lead at the ninth hurdle; he won in 48.24. 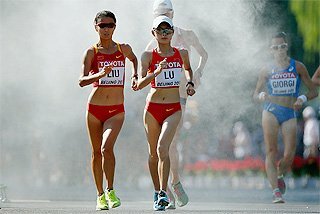 In the women’s 1500m, three runners – Miho Sugimori, Yuliya Chizhenko and Mestawat Tadesse - formed the lead pack, which passed 400m in 64 seconds, 800m in 2:12 and 1200m in 3:20. 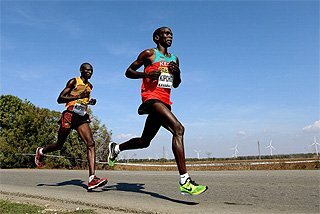 At 1200m Chizhenko led from Tadesse, but in the last 100m Tadesse kicked hard to pass Chezhendo and won the race in 4:08.52. Finishing fourth in 4:12.85 was Yuriko Kobayashi, a silver medallist at the World Youth Championships. 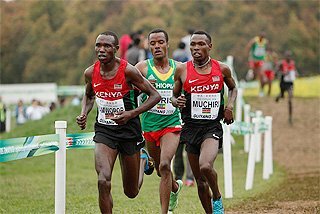 The time was a new national high school, as well as national junior record for sixteen years old Kobayashi, a rising star at the middle distances in Japan. A high school sensation Yuzo Kanemaru, who won the Asian Championships earlier this month, won the men’s 400m with the new high school record, 45.47. Kanemaru who just turned eighteen a day before improved his own high school record by 0.22 seconds. Jamaican Davian Clarke led at 300m followed by Mitsuhiro Sato, and then Kanemaru, who took over the lead in the final 50m and won with a new high school record. Back in the infield there were quality wins for Nadezhda Ostapchuk of Belarus in the women's Shot Put, 20.12m, and for Olga Kuzenkova of Russia in the women's Hammer Throw, 71.78m. 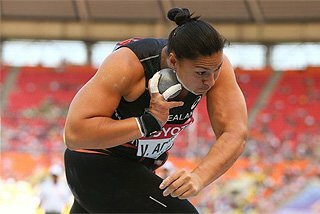 Respectively, they beat their young rivals Valerie Vili of New Zealand (18.94), and Tatyana Lysenko of Russia, (68.83). Belarus' two-time World Hammer Throw champion Ivan Tikhon also proved his quality once more with a 81.13m release. Statistically not so remarkable but none-the-less just as an emphatic a win came in the Long Jump for World and Olympic champion Dwight Phillips (USA) with a leap of 8.06m. 100m - 1, Justin Gatlin, United States, 10.04. 2, Olusoji Fasuba, Nigeria, 10.13. 3, Christopher Williams, Jamaica, 10.13. 4, Shingo Suetsugu, Japan, 10.17. 5, Coby Miller, United States, 10.29. 6, Nobuharu Asahara, Japan, 10.29, 7, Marcus Brunson, United States, 10.34. 8, Yoshinari Sato, Japan, 10.36. 400m - 1, Yuzo Kanemaru, Japan, 45.47. 2, Daniel Dabrowksi, Poland, 45.62. 3, Leonard Byrd, United States, 45.86. 4, Yoshihiro Horigome, Japan, 45.89. 5, Davien Clarke, Jamaica, 45.95. 6, Mitsuhiro Sato, 46.30. 7, Yosuke Inoue, Japan, 46.72. 8, Jun Okada, Japan, 47.40. Hiroyuki Morikawa, Japan, 3:43.88. 6, Terukazu Omori, Japan, 3:48.01. 110m Hurdles _ 1, Liu Xiang, China, 13.08. 2, Maurice Wignall, Jamaica, 13.46. 3, Sergey Demidyuk, Ukraine, 13.52, 4, Tasuke Tanonaka, Japan, 13.64. 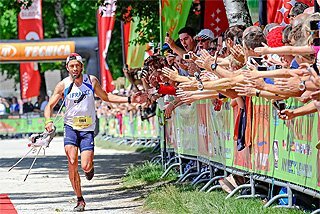 5, Marcio Simao De Souza, Brazil, 13.81. 6, Yuji Ohashi, Japan, 13.87. 7, Yasunori Yoshioka, Japan, 13.89. 8, Satoru Tanigawa, Japan, 13.98. 400m Hurdles _ 1. Bershawn Jackson, United States, 48.24. 2, Kenji Narisako, Japan, 48.40. 3, Musahira Yoshikata, Japan, 48.66. 4, James Carter, United States, 48.90. 5, Kazuya Syougata, Japan, 48.95. 6, Gianni Carabelli, Italy, 49.40. 7, Takayuki Koike, Japan, 49.96. 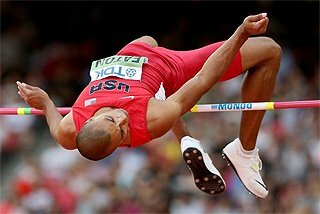 High Jump - 1, Ivan Ukhov, Russia, 2.23m. 2, Naoyuki Daigo, Japan, 2.20. 3, Satoru Kubota, 2.15. 4, Hikaru Tsuchiya, Japan, 2.10. 5, Kane Brigg, Australia, 2.10. 6, Yuto Shimizu, Japan, 2.10. Hammer - 1, Ivan Tikhon, Belarus, 81.13m. 2, Vadim Devyatovskiy, Belarus, 79.68. 3, Libor Charfrietag, Slovakia, 76.53. 4, Hiroaki Doi, Japan, 70.94. 5, Masayuki Yakuwa, Japan, 62.62. 6, Shigeru Hirao, Japan, 60.59. Long Jump - 1, Dwight Phillips, United States, 8.06m. 2,Daisuke Arakawa, Japan, 7.61. 3, Shinishi Terano, Japan, 7.50. 4, Hiroyuki Oishi, Japan, 7.47. 5, Chris Noffke, Australia, 7.41. 6, Hideaki Suzuki, Japan, 7.39. 100m - 1, Allyson Felix, United States, 11.05. 2, Me'Lisa Barber, United States, 11.08. 3, Julia Chermoshanskaiya, Russia, 11.67. 4, Momoko Takahashi, Japan, 11.77. 5, Tomoko Ishida, Japan, 11.77. 6, Ayumi Suzuki, Japan, 11.78. 7, Yuka Sato, Japan, 11.81. 8, Sakie Nobuoka, Japan, 11.86. 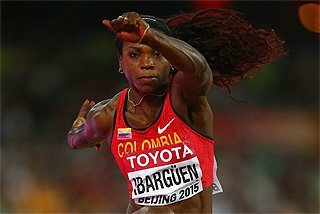 400m - 1, Dee Dee Trotter, United States, 50.03. 2, Christine Amertil Bahamas, 50.09. 3, Ilona Usovich, Belarus, 51.45. Asami Tanno, Japan, 51.80. 5, Makiko Yoshida, Japan, 53.42. 6, Satomi Kubokura, Japan, 53.80. 7, Sakaya Aoki, Japan, 53.96. 8, Mayu Horie, Japan, 54.59. 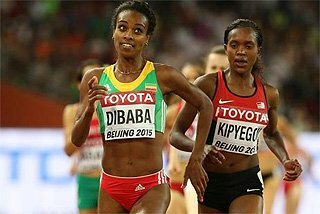 1500m - 1, Mestawat Tadesse, Ethiopia, 4:08.52. 2, Yulia Chizhenko, Russia, 4:10.55. 3, Miho Sugimori, Japan, 4:10.78. 4, Yuriko Kobayashi, Japan, 4:12.85. 5, Minori Hayakari, Japan, 4:12.86. 6, Yukari So, Japan, 4:16.76. 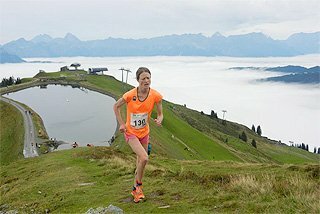 7, Irina Krakoviak, Lithuania, 4:18.07. 8, Mika Yoshikawa, Japan, 4:19.16. Japan, 4.00. 6, Aya Yoshihara, Japan, 3.60. Long Jump - 1, Kumiko Ikeda, Japan, 6.65m. 2, Rose Richmond, United States, 6.38. 3, Denisa Scerbova, Czech Republic, 6.37. 4, Yuka Sato, Japan, 6.30. 5, Sachiko Masumi, Japan, 6.15. 6, Saeko Okayama, Japan, 6.13. 7, Yukari Nakahara, Japan, 6.12. Hammer - 1, Olga Kuzenkova, Russia, 71.78m. 2, Tatyana Lysenko, Russia, 68.83. 3, Chisato Ohashi, Japan, 58.85. 4, Kazuho Maki, Japan, 57.31. 5, Kumiko Kotake, Japan, 53.15. Shot Put - 1, Nadezhda Ostapchuk, Belarus, 20.12m. 2, Valeria Vili, New Zealand, 18.94. 3, Yoko Toyonaga, Japan, 16.74. 4, Izumi Yoshida, Japan, 14.57. 5, Yukiko Shirai, Japan, 14.38. 6, Asa Hosokawa, Japan, 14.00. 7, Kie Minobe, Japan, 13.33.